Sibling rivalry can quickly become the bane of a mama’s existence. But can I let you in on a little secret that just might help you keep your sanity? 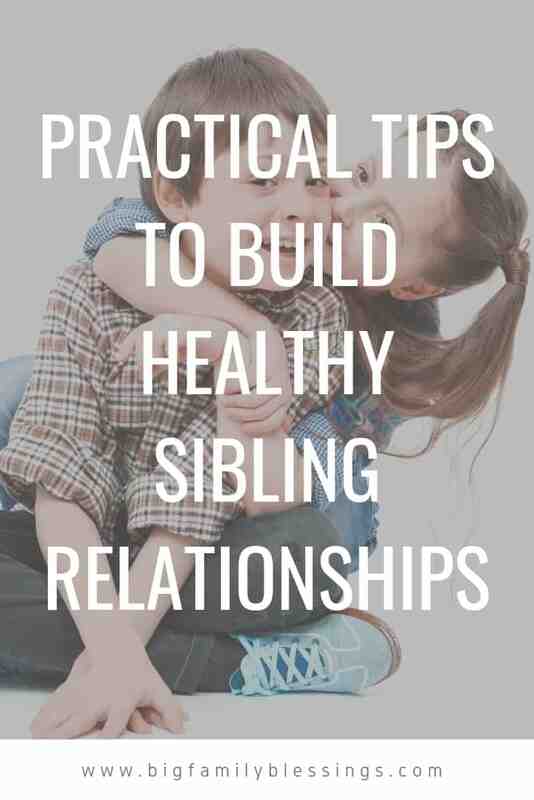 Sibling squabbles, while they’re young, can actually be beneficial! Our littles are learning how to work through conflict while they have parents close by to walk them through it. Someday they’re going to be out in the world facing difficult situations with difficult people. If we desire to see our kids shining as lights in the world in the midst of this crooked generation (Philippians 2:15), we need to train them how to righteously handle disputes inside the home first. Yelling, “Stop being selfish and conceited!” in the midst of some intense rivalry is a pretty bad idea. Trust me. But if you’ve had the conversation in times of peace, you’re allowing the Spirit to do the intervening when things heat up. It’s when the tempers are cooled that you can remind them of what God’s Word says. Our kids are always watching, sometimes much more than we’d like them to. Because of this, our actions can be much louder than our voices. Handling your own relationships in a godly manner, especially your relationships with your children, will speak volumes. If the kids are getting along, don’t interrupt! Take note of whatever it is that they’re all enjoying together so you can encourage such activities in the future. Give them a united mission. Have the kids work together on a project. It could be as simple as putting the dishes away together or cleaning the playroom. Mix in some more creative missions, like making a card for Grandma or planning a family day. When you sense tension building but there hasn’t yet been an explosion, call out “hug time!” There doesn’t even have to be growing tension to enjoy this activity. Call it out any time of the day. Make sure you get in on the hugs as well! Go on adventures together! Whether it’s a week at Disney World or an afternoon hiking at your local park, family time encourages getting to know each other, laughter, and deepening friendships. 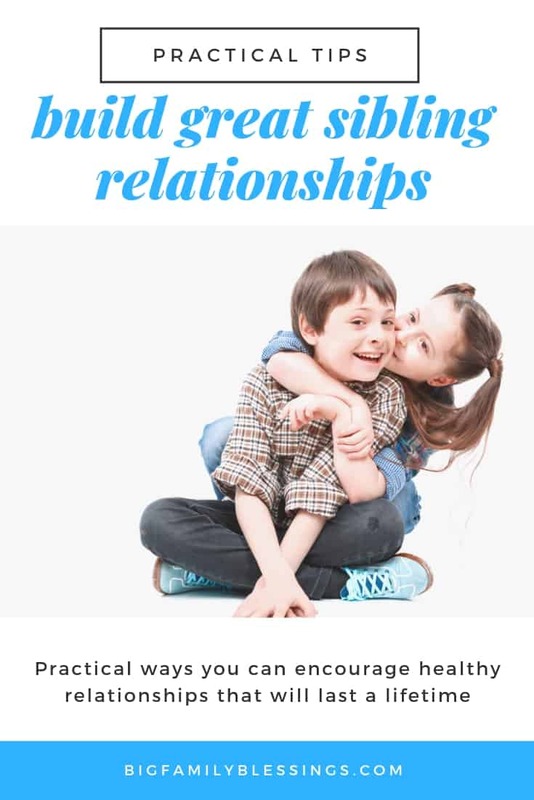 “Let no corrupting talk come out of your mouths, but only such as is good for building up, as fits the occasion, that it may give grace to those who hear.” Ephesians 4:29 Encourage your kids to say kind things to each other, compliment each other, and build each other up. Love and respect grow through the practice of pointing out the good in others. God’s Word is living and active (Hebrews 4:12) and good for training in righteousness (2 Timothy 3:16). Make it a family affair to hide God’s Word in your hearts (Psalm 119:11) so the Spirit can call up these words at any time. Maybe even in the midst of the bickering.